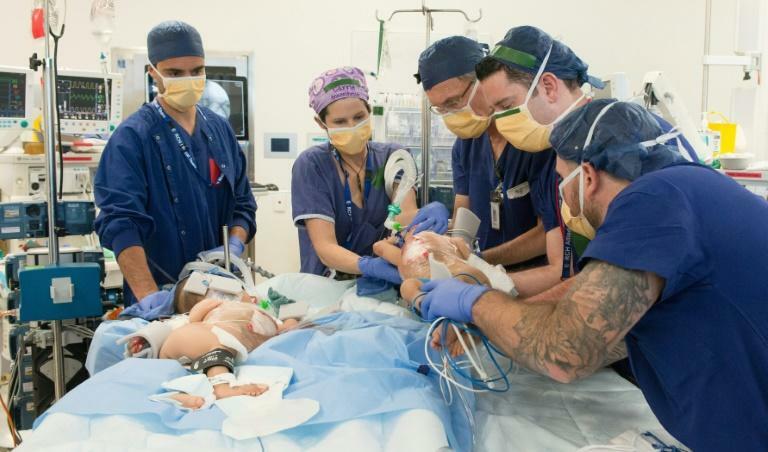 "We didn't find surprises," said Joe Crameri, who led the surgery at the Royal Children's Hospital in Melbourne. "We are here earlier because there weren't any things inside the girls' tummies that we weren't really prepared for," he told reporters. Crameri said the girls' bowels were a bit intertwined they were not connected "in any major way". "Nima's the robust one. She tends to ... always be on the top, pulling rank, as we say, and Dawa's more placid," she said.